The M450 is designed for your needs. Its GPS, altitude and heart rate-based features can help you get even more out of your ride. The M450 is lightweight, splash proof and aerodynamic. Plus, by combining an integrated Smart LED light, the M450 puts safety top of mind while minimizing handlebar clutter. 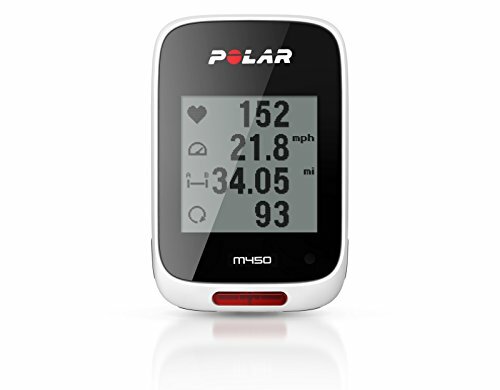 Connects to the free Polar flow app and web service where you can plan, sync and get feedback on your rides on the go.